On the occasion of the global day of action against TTIP, on the 18th April, a number of local NGO's, under the umbrella Social Europe - Front Against TTIP (Malta), that was formed in Malta last year, are calling upon all policy makers in both the public and the private sectors to unite to secure the interests of the local economy, which is based almost exclusively on the productivity of small and medium enterprises (SME's), as well as its environmental and social fabric, by ensuring that all trade negotiations being carried out between the EU and the USA are open and fully transparent, and that no stone will be left unturned to ensure that the fundamental principles of governance, transparency and environmental and social regulations upon which so much of the EU is built, are secured and maintained. The Front said that it forms part of an alliance of over 400 civil society organisations that launched a European Citizens Initiative against the free trade and investment agreements TTIP (between the EU and the US) and CETA (between the EU and Canada). These are calling on the European Commission to recommend to the EU Council of Ministers to repeal the European Union’s negotiating mandate for the Transatlantic Trade Investor Partnership (TTIP) and to halt the Comprehensive Economic and Trade Agreement (CETA). The coalition refuses to accept that rules with far-reaching consequences for more than 500 million citizens in Europe are made behind closed doors. This is unacceptable and in blatant breach of fundamental European principles. 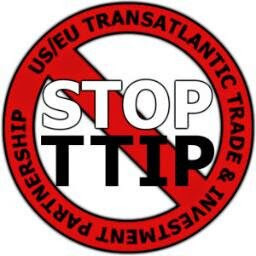 TTIP and CETA primarily serve the interests of large multinational corporations at the huge expense of consumer protection, social standards, environmental regulations and food safety. They also threaten the fabric of SME's, by creating an unlevel playing field in the commercial sector which is weighted heavily in favour of multinational corporations. The planned Investor state dispute settlement (ISDS), it continued, constitutes a very serious threat to democracy and the rule of law for the simple reason that it would make these multi nationals more powerful than the governments of sovereign states, allowing them to enforce changes in environmental and social legislation, and even to sue governments for hundreds of millions of Euros in damages on claims that such legislation may have affected the company's potential for profits. Such a treaty would not only put multinational corporate profits over people and SME's, but also over their democratically elected governments. 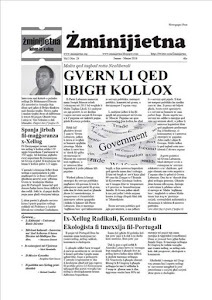 As a result of recent overtures made by the government about increases in the opening of public healthcare to the private sector, Zminijietna – Voice of the Left is highly concerned by the direction that national strategy in the health sector is taking, and believes that the government should act to prevent any more corporatisation of healthcare on the Islands. 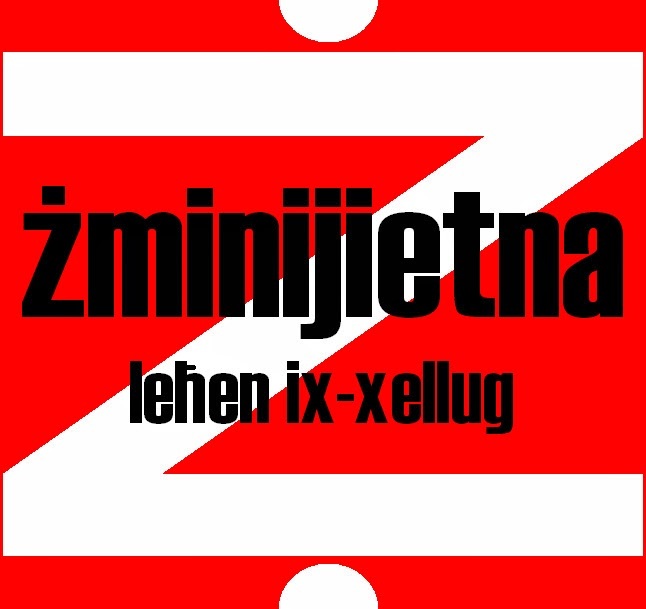 In light of this, Zminijietna has stated that "any new involvement of the private sector in healthcare will lead to an increasing corporatisation of the Maltese health sector, to the detriment of the public, healthcare workers, and the universal availability of State health care services." “Various studies have shown that market directed policies do not necessarily reduce costs in, or improve, healthcare services, and such policies in the United Kingdom have led to an overall neglect of patient well-being. The changes being proposed are more in line with the motivations of politically influential minority interests and strategists, following the increasingly right-wing and neo-liberal direction being taken by the European Union, than they are with a genuine concern for the welfare of patients,” concluded Zminijietna – Voice of the Left.